With Glittering Eyes: Oh Summer, I love you. Josh and I are both currently in the middle of a little vacation (or should I say stay-cation?). It has been so lovely. So wonderful. We have done exactly whatever we wanted for the last 4 days. 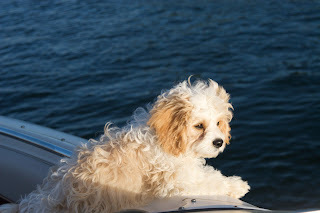 We spent the entire weekend up at my parents cottage on Slayton Lake. It was restful. It was peaceful. We spent time quality time with my family, with Brian and Kyrie. Most importantly, we spent time with each other. We didn't even go to church. Shocking, I know! 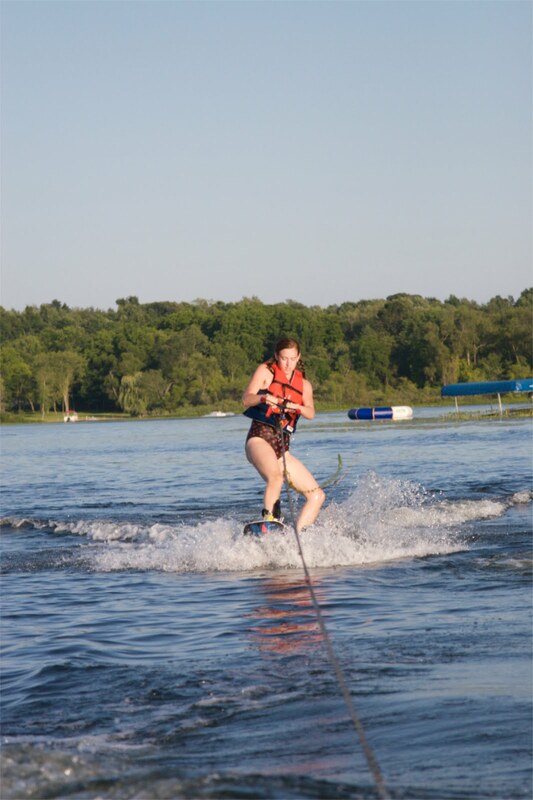 Last night, I decided to give wakeboarding a try. Josh learned how to do it on Saturday, and Brian is already a pro. 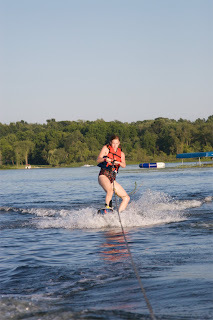 I learned how to water ski with very little effort when I was 12, but I was a little anxious about trying to wakeboard. Needless to say, I got up on the first try (Yes, I'm very proud of that!) and successfully stayed up above water for like, 30 seconds.... one time. Maybe two. At this point of my life, I am not very strong (or fit) and I have weak hands from massage therapy so after 25 minutes of wake-boarding (and attempting to wake-board) I called it a day. 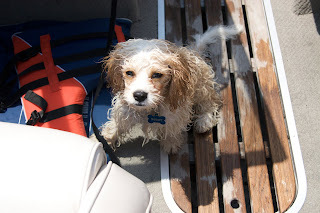 Despite my brief efforts in the water I must tell you that I am so incredibly, unbelievably, wildly sore today that I don't know if I'll ever try it again. Seriously, I got up a few minutes ago to get something in the other room and I limped. I limped! My entire body aches. Let me try to break it down.... if fun can be marked in "fun units". 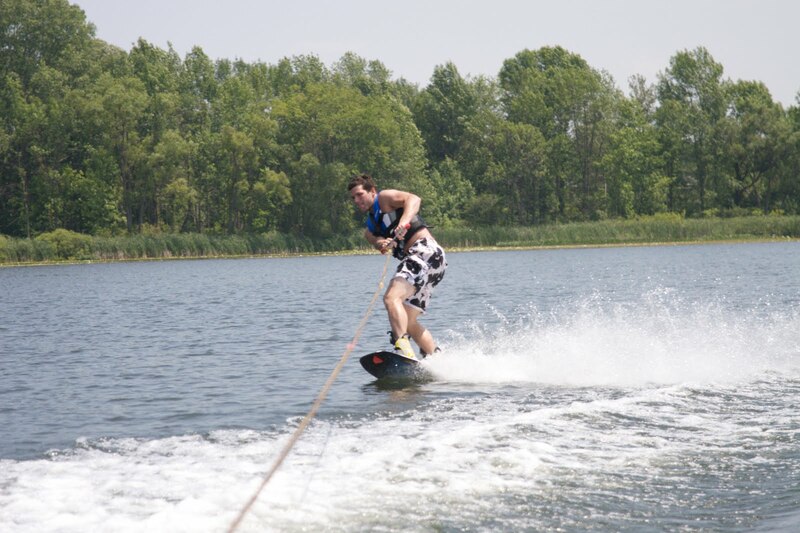 I would say wake-boarding earned about 6 fun units. If pain can be marked in "I-can't-freaking-move units" I would say I am at about an 8.5. Comparing scales, the amount of fun I had does not exceed or even match the amount of pain I am in. 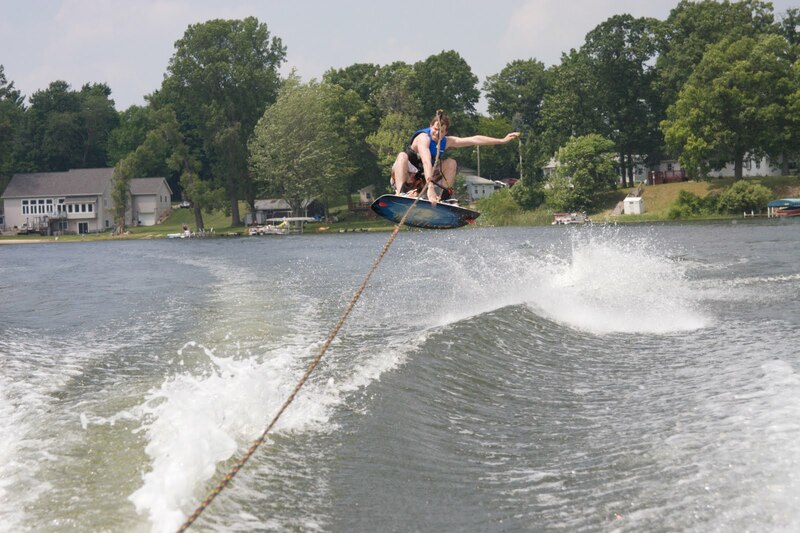 Resulting in: probably never wakeboarding ever again and sticking to water skiing. 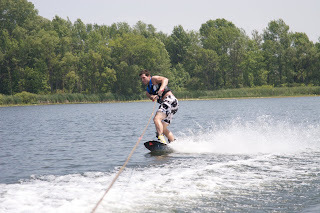 My love, who is a natural at almost everything he tries, including wake-boarding. Buddy hanging out on the boat. Wet Buddy = Not-so-cute Buddy. Honestly, it was the loveliest weekend I've had in a long time!